For casual visiting, drop in during these office hours. If sure time is needed for something on your mind, calling ahead is recommended. Rev. Jenny is also available by appointment outside these hours. Please call or text her at 208-380-1084. All messages are confidential. Remember, visiting with our minister does not require an urgent reason. Members, friends and the curious are welcome and encouraged to stop by. Rev. Jenny will take a Personal Sabbath each week, beginning at 9:00 pm Sundays and ending at 8:00 am Tuesdays. Pastoral emergencies know no schedule, so will always be the understood exception. All other calls or emails will be addressed in order of receipt on Tuesdays. 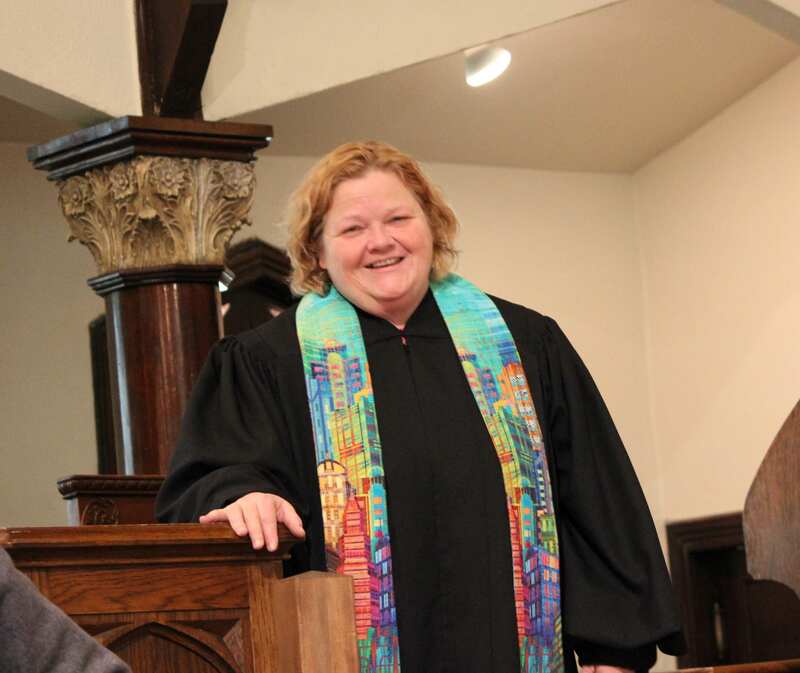 Jennifer “Jenny” Peek began serving as PUUF’s minister in October of 2017. Jenny Peek is an ordained Unitarian Universalist minister and is credentialed in preliminary fellowship with the Unitarian Universalist Association. She holds her Master of Divinity degree from Meadville Lombard Theological School. During seminary, Jenny visited the Unitarian Universalist Church of the Philippines and met the religious leaders there, exploring just how our progressive faith developed and keeps growing in a country that is 90% Catholic. Inspired by intercultural and interfaith dialogue, Jenny took full advantage of Meadville’s Global Fellows Program and studied with religious leaders of Uganda, Japan, India, Azerbaijan, and Central African Republic. As Intern Minister, Jenny served the Unitarian Universalist Fellowship of Elkhart (UUFE) in Indiana for two years. Also during her time with UUFE, she served as their sabbatical minister for six months. Jenny is passionate about deepening the understanding of the relationships between culture and self; self and fellowship; and collective self/fellowship and the greater community. She enjoys writing, music, comedy, and theater. Jenny joins us under a two-year three-quarter time consulting ministry contract that includes opportunity for renewal or call.